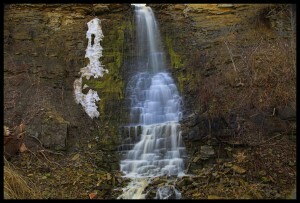 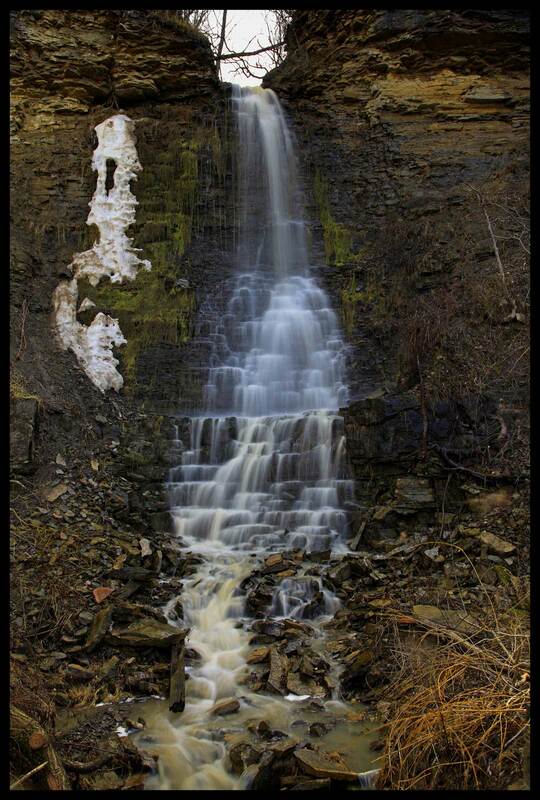 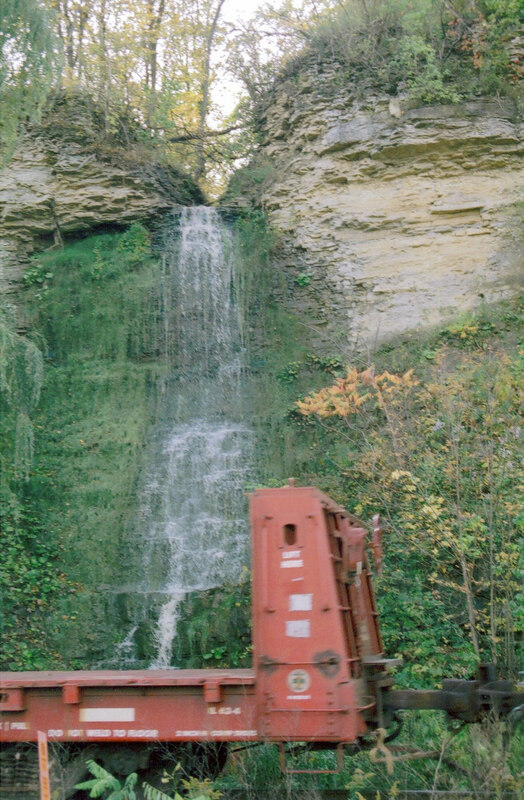 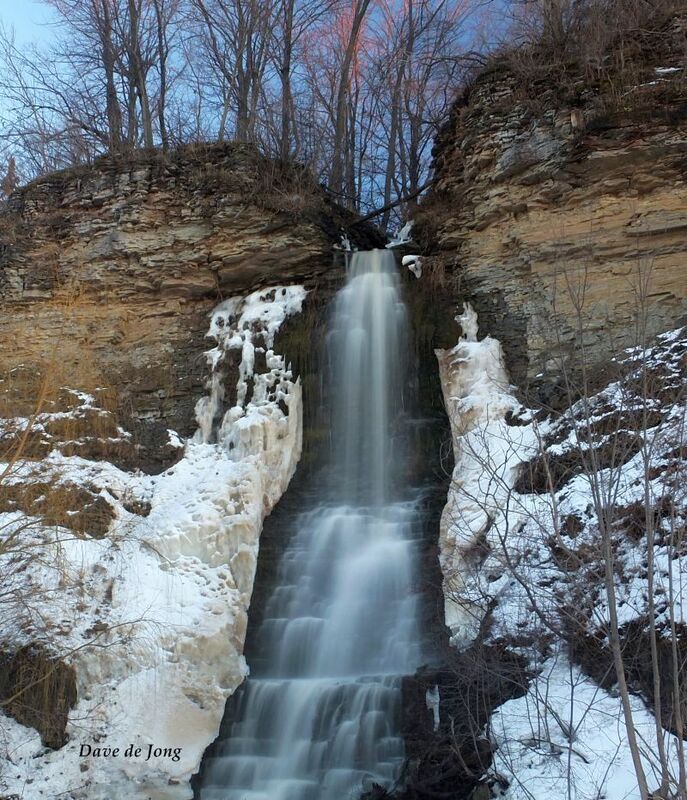 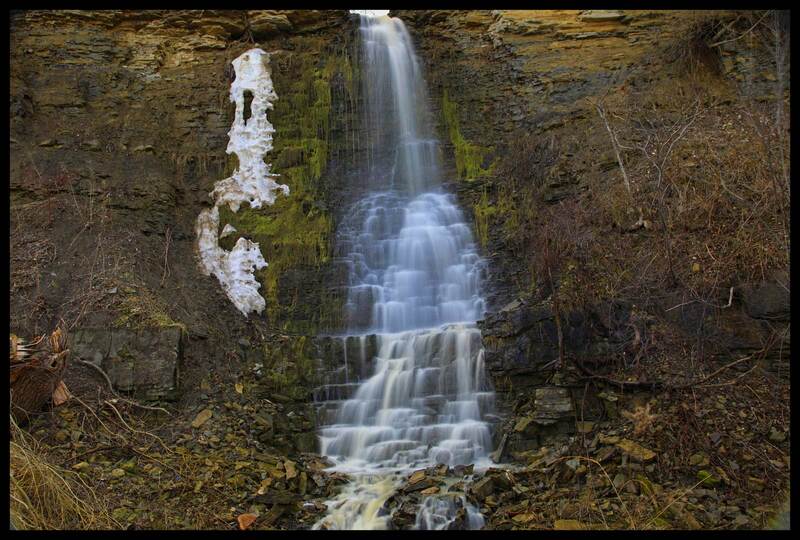 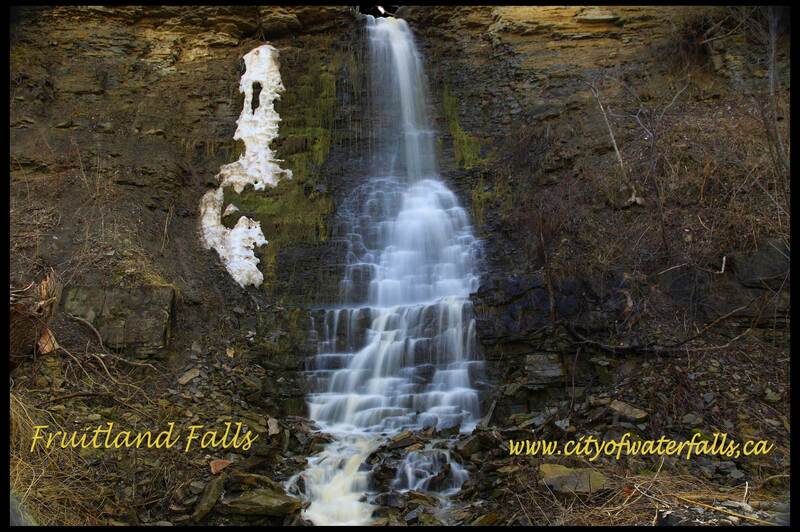 Fruitland Falls is a Fan Ribbon Cascade located on the Fruitland Creek. 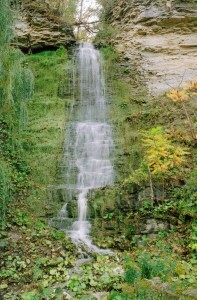 Its height is 8.5 metres (28 feet) and its width is 1.8 metres (6 feet). 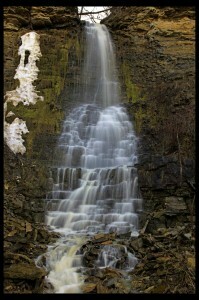 Its strongest flow is during peak storms and the seasonal snow melt. 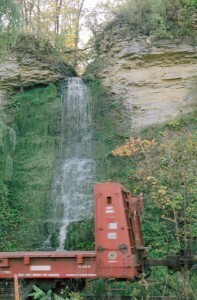 Fruitland Falls was first mentioned on the website belonging to Mark Harris from about 2002/2003. 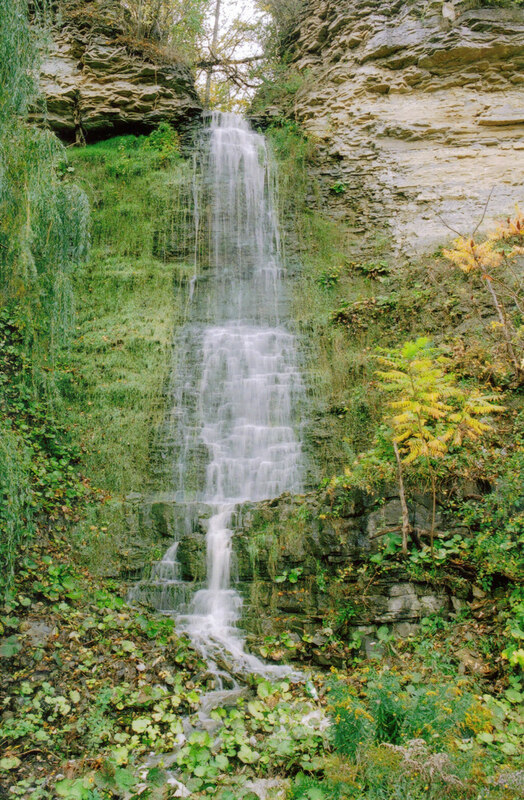 This is a beautiful waterfall to view and is well worth the long walk to it. Park on Macdui Drive and take the Bruce Trail east about 800m and follow the creek south to the falls located on the south side of the railway tracks.